Yet another beauty product that has been garnering hype of late. The kind of talk and promotion that sees me throw caution to wind and wave about wads of cash to the beauty counter, demanding they simply take, take my money. 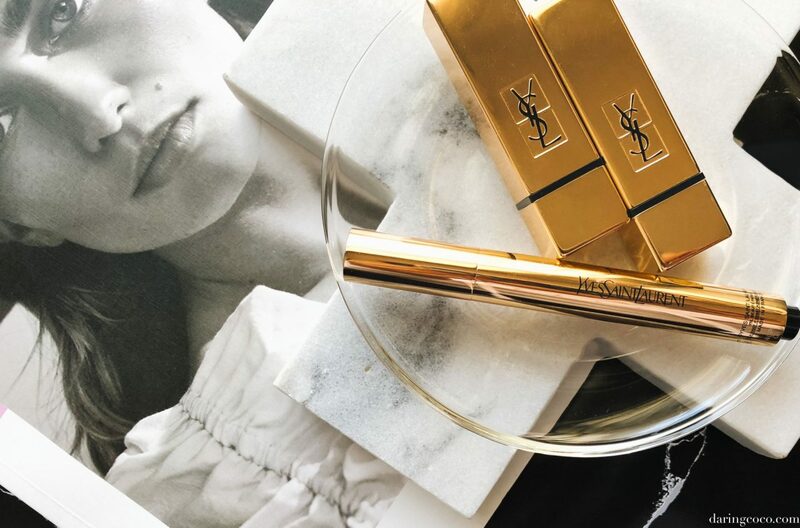 All jokes aside, it seems like everywhere I turn there is a glowing review and recommendation for the YSL Touche Eclat. And while I am overly content with my dependable NARS creamy radiant concealer, I felt like it was time for change. Because in having done so with my skincare (moving from REN to Dr. Dennis Gross and The Ordinary) it has done noticeable wonders for my skin. So I figured it could be beneficial to change my make-up routine also. However in terms of coverage over my dark circles (not that they are prominent to begin with), that was a giant failure and did little to mask that nuance. Did it brighten and highlight? On me, it didn’t even manage that. Sadly for me I found this formulation to be far too sheer and hardly illuminating. To say this was a grand disappointment is an understatement. Especially considering the price point on the YSL Touche Eclat is steep, like nearly double that that of my trusty NARS. 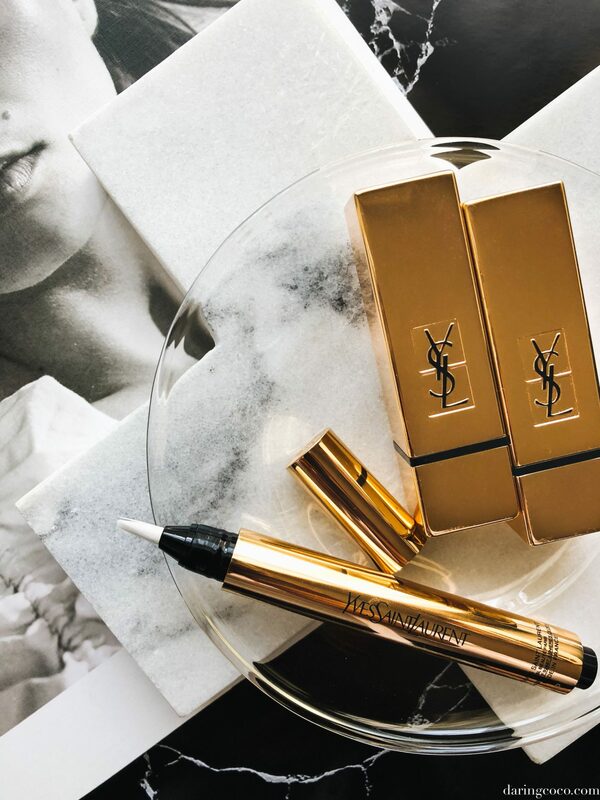 One point that I find countless beauty reviews make on the YSL Touche Eclat, is in fact it’s miraculous way of brilliantly illuminating under ones eye and around the face. This was something I truly failed to noticed on myself, despite opting for an even lighter shade than originally recommended. The formulation does blend well but that is the problem. Being that it is far too light and thin it seemingly disappears as you apply either above or below foundation. I honestly have no idea what the fuss is about? And I feel like I’m missing something here because of said hype. Am I applying this incorrectly? Am I missing another mysterious tool for application? Or perhaps I need to start wearing my glasses when applying make up? I think not. If the YSL Touche Eclat wasn’t as expensive and priced at what it is, I don’t think I would have been as disillusioned. If anything one is merely paying for brand and opulent, golden packaging. But that is my humble opinion. I know most of you are going to disagree with me; especially after having read glowing reviews from yourselves in the past. But let me know your thoughts and musings below on your own experience.